Ah yes... The summertime... convention season has now begun, and my first venture into this year's convention territory was Houston's International Comic Convention called Comicpalooza. This is the first post about that adventure, and so I'd like to mention what my lady and I did on our first day there. We were fortunate in that we got there fairly early on Friday, about 1:00 PM. What is interesting to note is that Houston's comic convention almost never has a large crowd that first day... which gives those first goers a distinct advantage - the ability to have conversations with the celebs and artists! This particular day, none of the celebs with legendary status were present, so we wandered around for a bit. To our surprise and delight, Comicpalooza had a secondary convention called Galacticon 3. Galacticon is a convention dedicated to Battlestar Galactica and it occurs once every 5 years. This time it was a small convention inside a bigger convention, only it wasn't very well advertised. To my delight, that means that there are no lines in front of the stars, and very few of the strange people you see at the largest conventions. Once my lady and I heard that we could get in, we decided that we must go (since we're both big fans of the reboot series). For a small fee, we upgraded our passes and in we went! 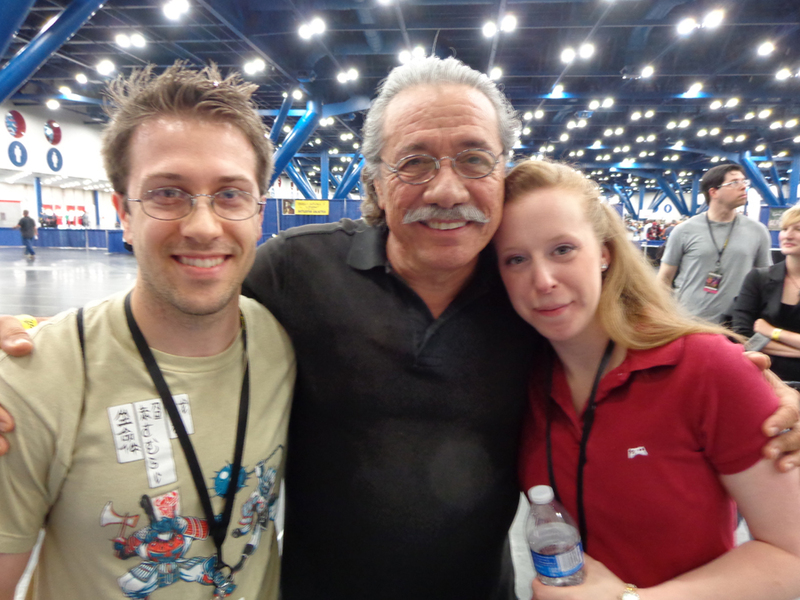 Let me just say that Edward James Olmos is a wonderful man. As we approached his bench, he greeted us both quite warmly. I mentioned that I saw him speak at the UN (skip to 34:09 to really see the part that stands out to me) and I wanted him to know that what he said really resonated. When I told him this, he seemed surprised. He asked me if I was present... unfortunately I was not. What separates this man from so many other celebrities is his capacity for caring. Noticing that my lady didn't know to what we were referring, he took the time to tell her the entire story! He didn't skimp on the details, either. As he told the story, he mentioned that, in South America, their charter has changed as a result of these actions. It became clear to me that he really enjoys telling stories, and I was only too pleased to hear him speak about it. This man, whose fame is nearly universal, spoke to us, to my lady specifically, and took the time to really teach her about the message at the UN. Truly a remarkable man, it was an honor to meet him. I told him he should smile more, he liked that. 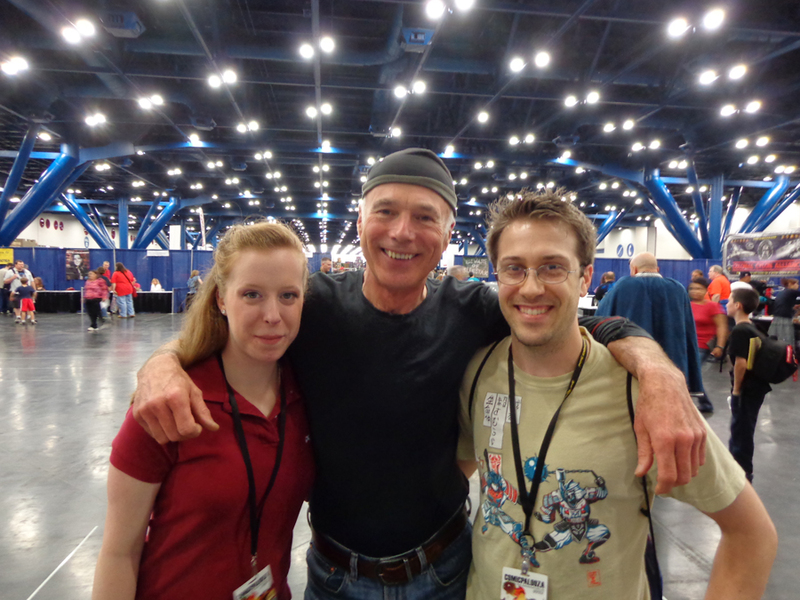 Our second guest to visit was another very nice man named Mike Hogan, or as the other nerds know him, Colonel Saul Tigh. What made me smile huge with this man was how, upon walking up to him with my lady he exclaims, "Why aren't you two in the brig, gods damn it!" So I knew immediately that this guy would be fun to talk to. I asked him how he enjoyed working on BSG and he said, very passionately, that there are times when an actor can really tell when they're a part of something special. He said he knew immediately that BSG was going to be something we haven't really seen before. He is a very kind man, and I look forward to a chance to meet him again. 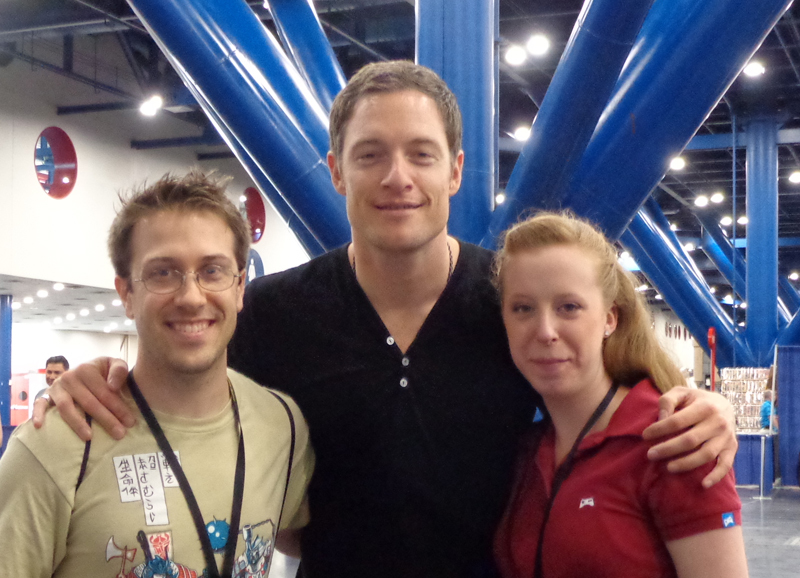 We also got to visit with Tahmoh Penikett, Kandyse McClure, and Luciana Carro. Each of these people had something unique to say to us and something special to share with us. It was really great meeting these people. Tahmoh is a really nice guy, very laid back. He's very tall, he claims to be only 6'3" but I'm not sure I believe that. He asked us where there was a good place to eat, so I recommended the steakhouse Smith and Wollensky in the city. I hope he tried it out. There are some pretty exciting things in his career going on, but I'm not at liberty to say. I did mention that I liked him in Arrow, he seemed pleased with that. It was quite the surprise to see how tiny she was! Such a fun lady. 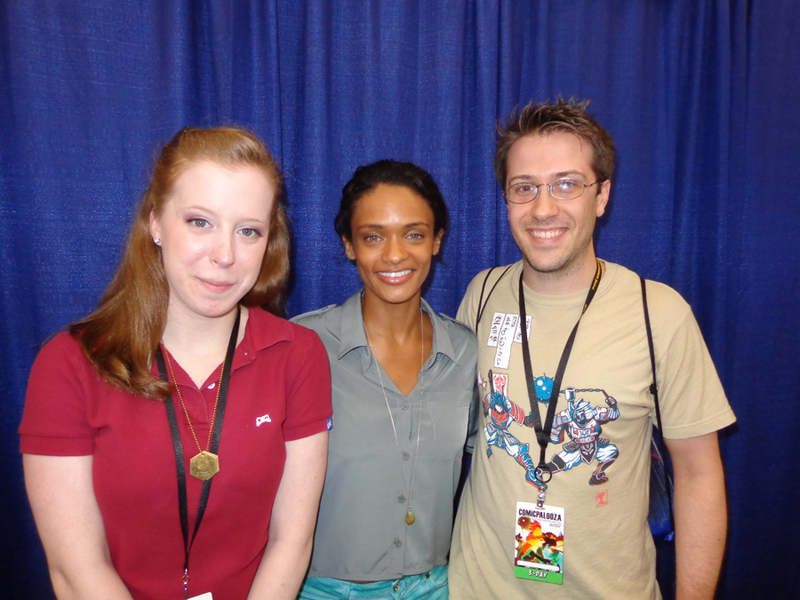 Kandyse McClure is one of the most beautiful people I have ever seen. What made speaking with her so special was that she was very kind and very happy. She seems to me like a wonderful person to spend time with, like everything I would do with her would be better just from her energy. Krystal commented that she smelled wonderful, and Kandyse seemed to find that quite a relief (they'd been in the convention all day, after all). My lady told her she loved her shoes... she's wearing 3 inch heels. Hah! Lastly, we got to speak with Luciana Carro, a wonderful actress. When I was speaking with her about Kat, the character she portrayed, she mentioned (emphatically) that "everyone says they hated Kat!" I mentioned to her that, when I watched the show for a second time, I really began to understand her character. Kat is one of the best characters on the show, and I will stand by that opinion! However, I will note that, had Luciana not nailed the role, it wouldn't have been nearly as great a portrayal as it was. Much to Luciana's chagrin, Kat was killed right after being developed more as a character... truly a loss to the show. It makes me quite happy to have been given the opportunity to share this weekend with my lady. All the guests at Galacticon were lovely people and I wish I had had the money to get pictures with all of them. It was truly fun to speak with them all about their work. My last mention is probably the most significant for my lady and me... Bear McCreary was present at the convention with samples of his music. If you do not know him, he is a composer that created the iconic music to the reimagined Battlestar series. 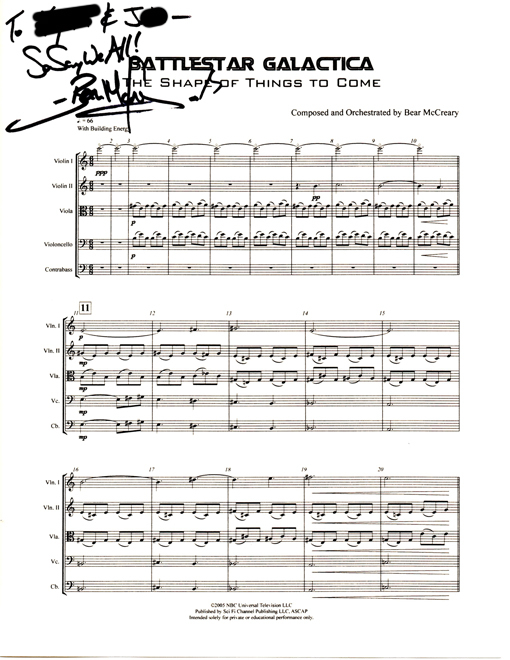 In a very special circumstance, he had the sheet music available for the song "The Shape of Things to Come" which is a very special piece to my lady and me. Thank you, Mr. McCreary, it was a very special time meeting you. I will post more soon, please keep your eye open!